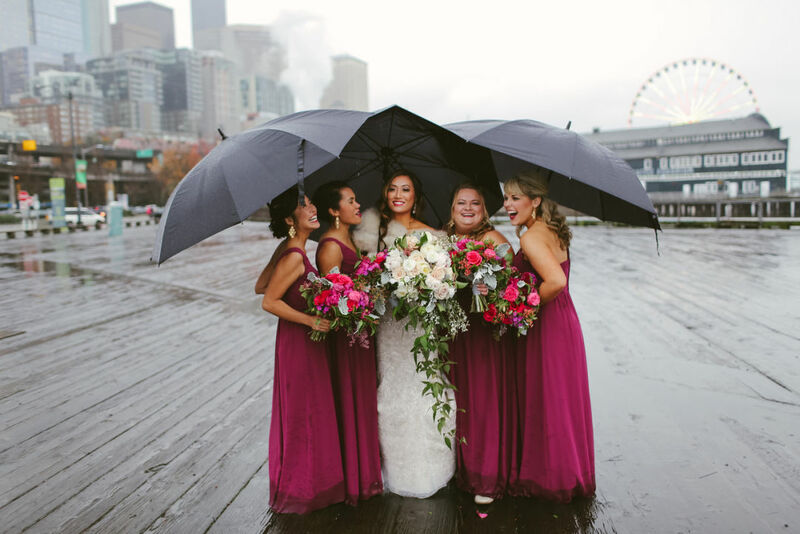 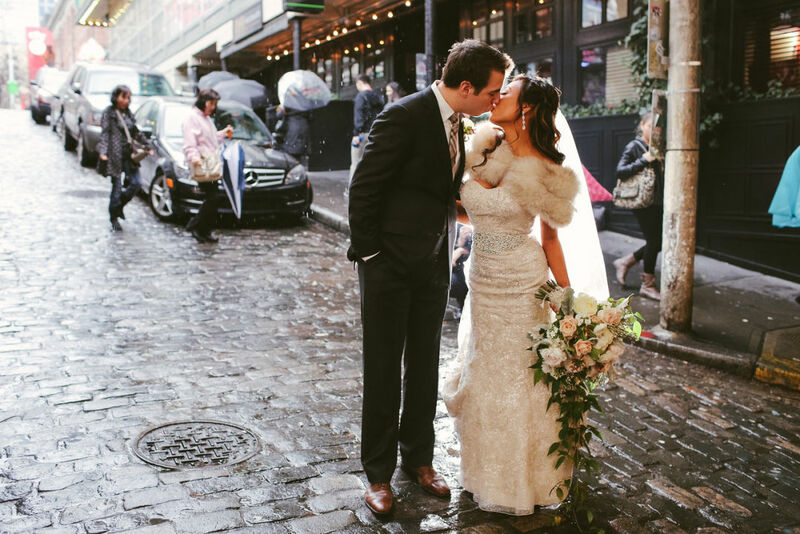 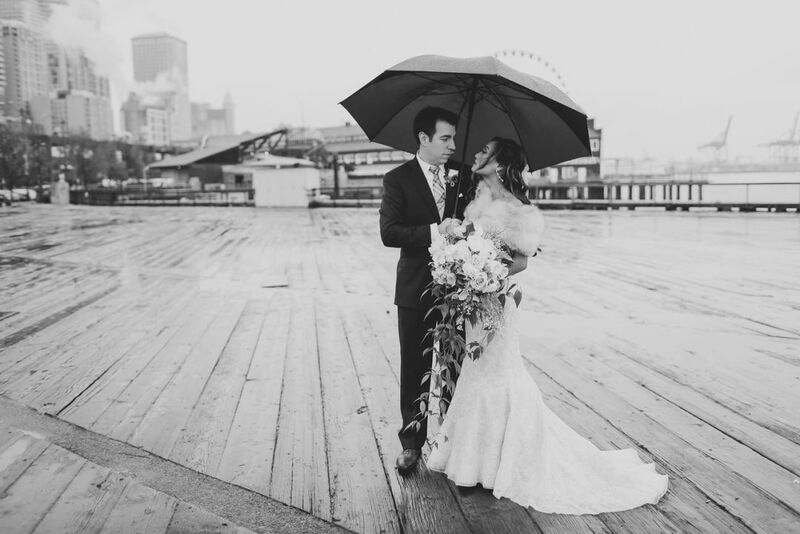 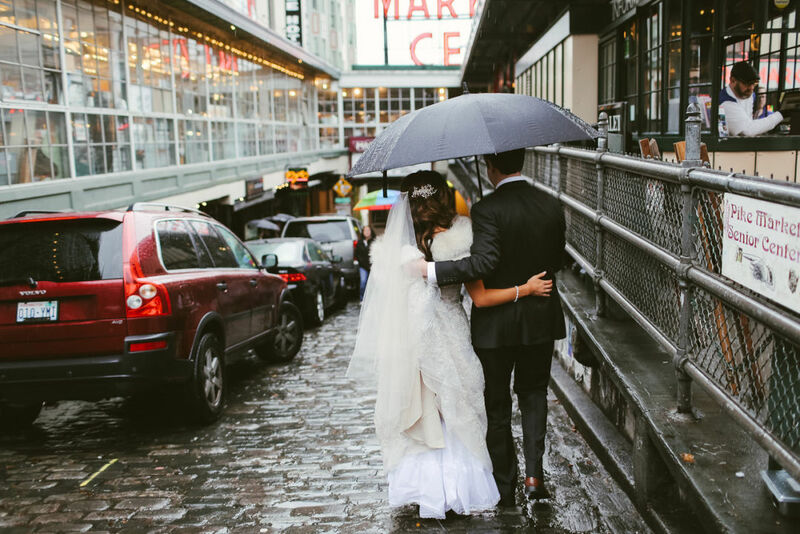 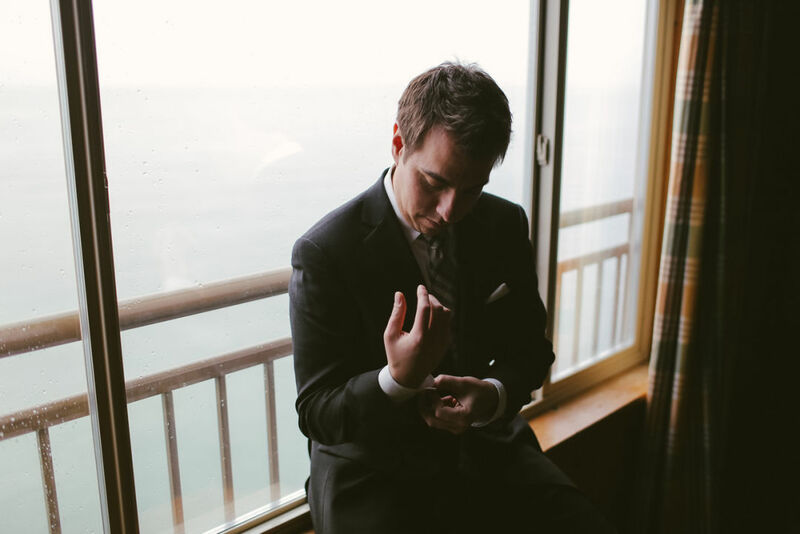 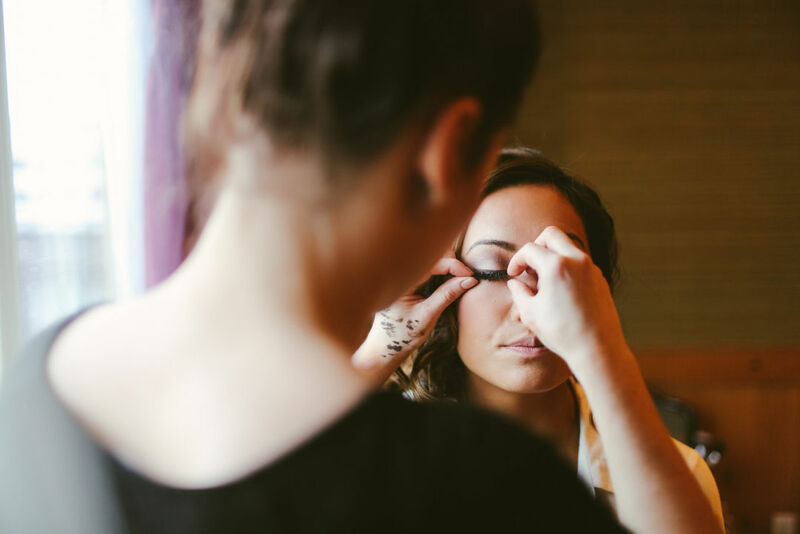 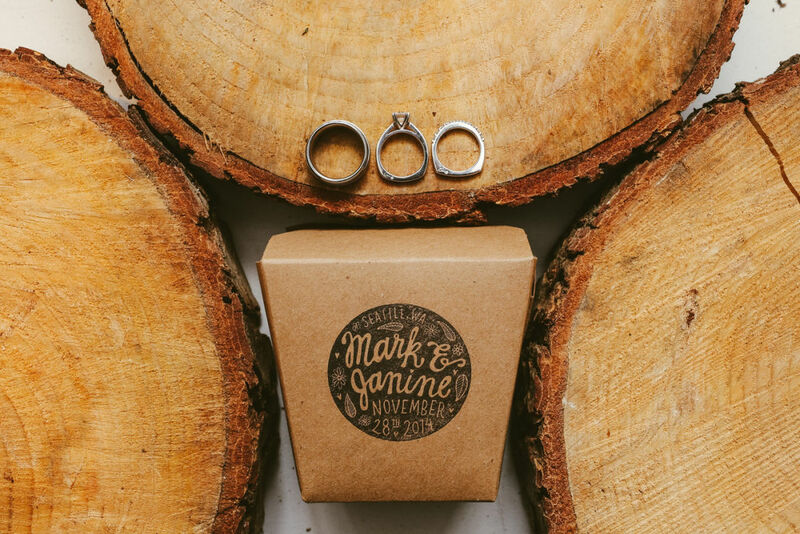 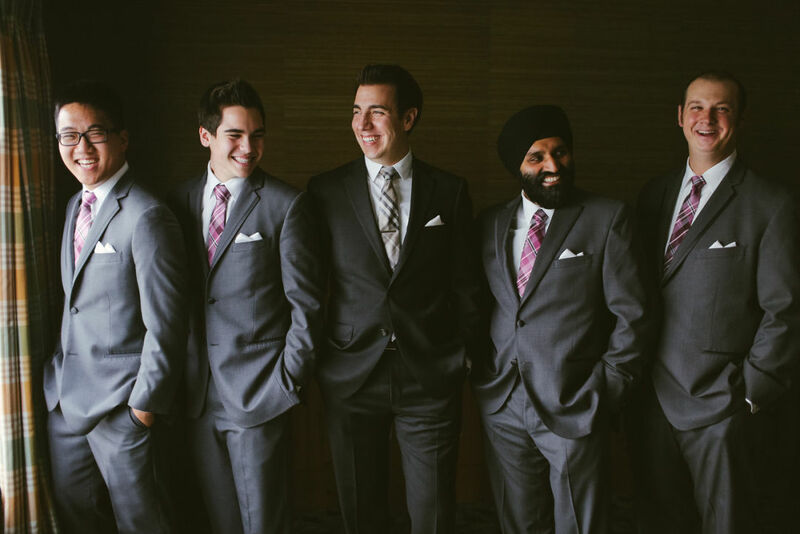 It may have been on one of the rainiest day of the year, but the weather only amplified Janine and Mark's realized vision of a "Northwest glam" wedding. 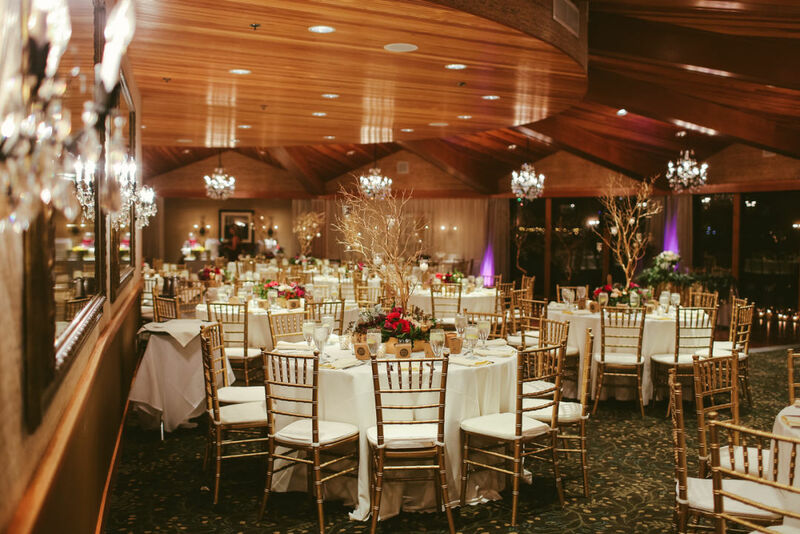 The couple paid special attention to decor for the 130-guest event, as the ambiance was what mattered most. 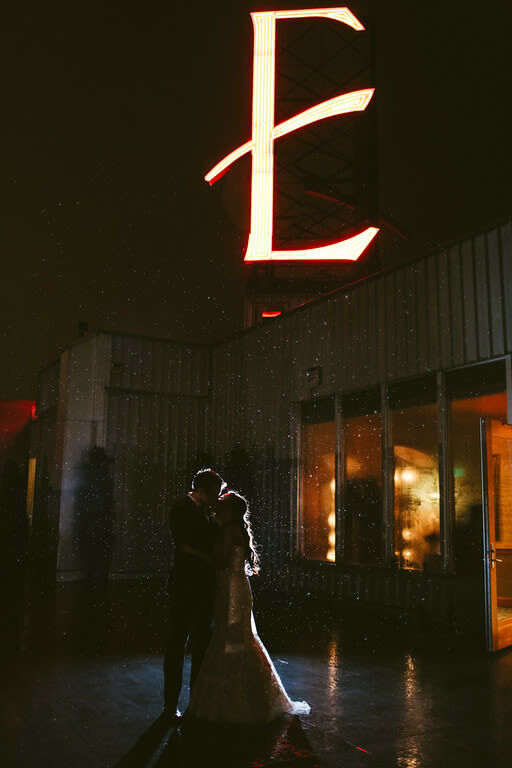 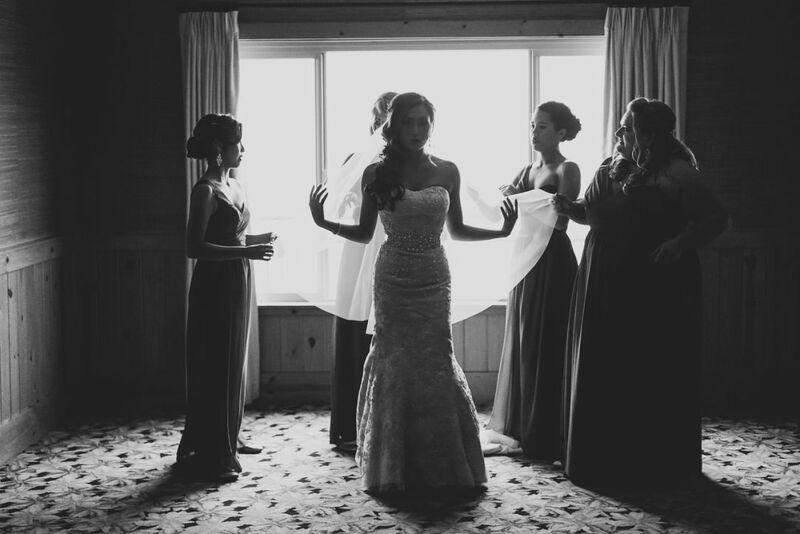 The Edgewater Hotel, near and dear to the bride's heart for its "very Seattle-ish vibe," served as the perfect venue with its Puget Sound backdrop. 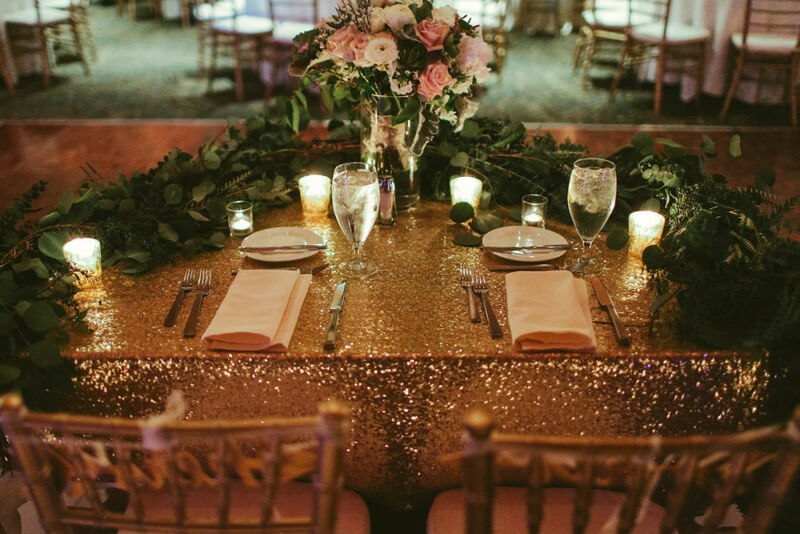 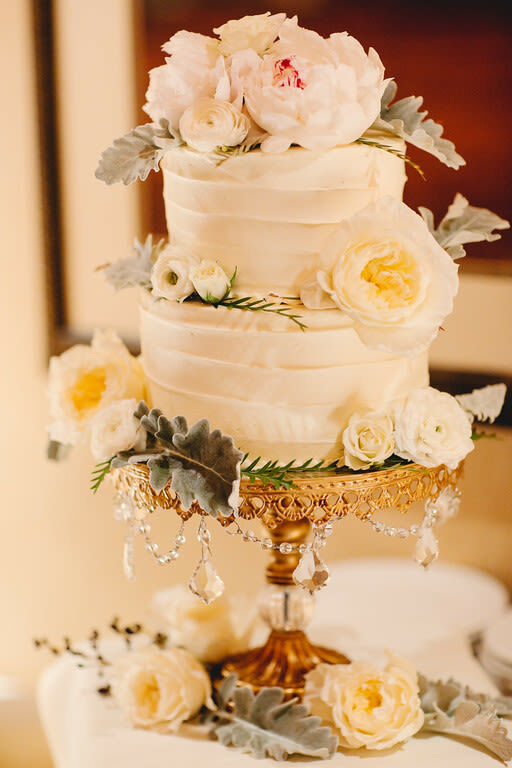 The bride's lush, cascading bouquet and many touches of gold upped the splendor of the woodland-inspired affair.